Discover the best spa offers of the season including exclusive packages and limited time deals. Our specials and packages, created with our most popular treatments, are designed to match the season and your body’s seasonal needs. 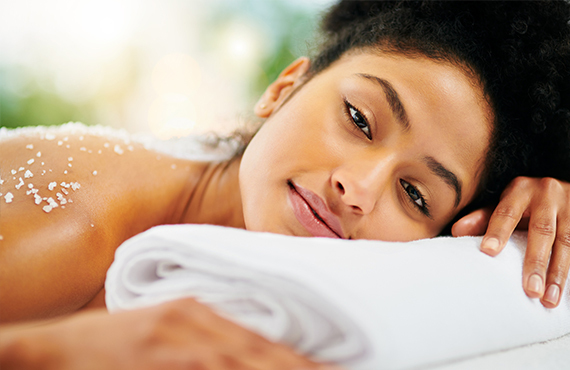 Your day at the spa includes use of our relaxation lounge, sauna, steam room, locker rooms, and more. Catamaran Personalized Facial with Eye Enhancement A personalized consultation with your aesthetician will guide you to a facial that is perfect for your skin and mood. Tropical Scrub Regain your skin’s vibrancy and moisture with this uplifting sugar scrub in our Vichy room, where multiple showerheads cascade down upon you. Tropical Massage Enjoy a customized massage enhanced with antioxidant-rich coconut oil massage. *Spring Package begin April 1, 2019 at 8:00 a.m. and expire May 31, 2019 at 9:00 p.m. Packages are subject to availability. Use of discount requires payment of a mandatory 20% service charge based on the original retail value of each treatment. Guests must be 16 years of age or older with a valid ID to use Spa facilities and services. Packages may not be combined with any other discount offers, specials, promotions, value added programs, or rates. Packages have no cash value and are not redeemable or refundable for cash. Packages may be canceled, modified, or discontinued at any time. Other restrictions may apply. 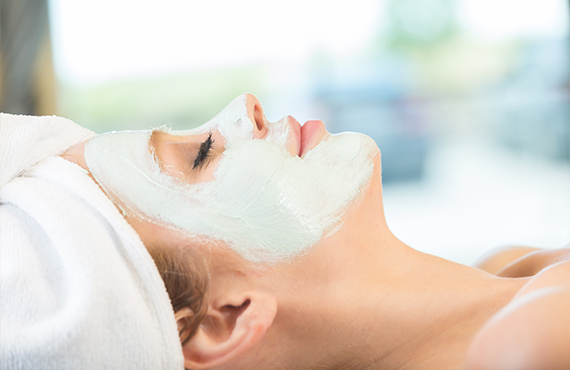 This luxurious facial is wonderful for all skin types by providing moisture and nourishment to the skin. 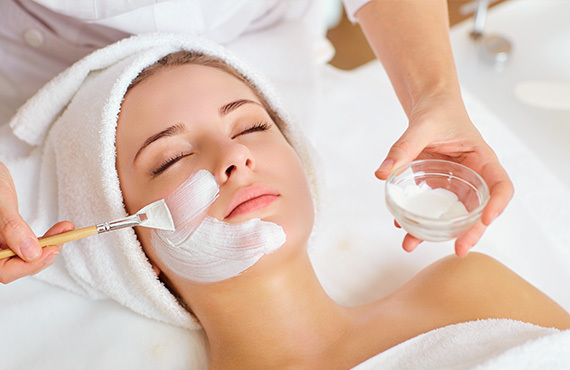 Our talented estheticians will personalize your facial with nourishing tropical botanicals and fruit enzymes to hydrate and brighten skin tone, leaving the skin cleansed, purified and supple. 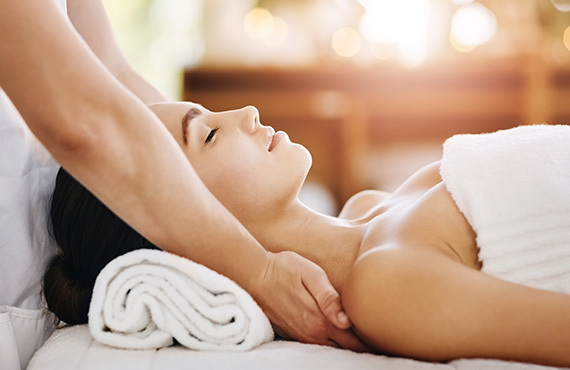 *Spa Week Specials begin April 15, 2019 at 8:00 a.m. and expire April 26, 2019 at 9:00 p.m. Specials are subject to availability. Use of discount requires payment of a mandatory 20% service charge based on the original retail value of each treatment. Guests must be 16 years of age or older with a valid ID to use spa facilities and services. Specials may not be combined with any other discount offers, specials, promotions, value added programs, or rates. Specials have no cash value and are not redeemable or refundable for cash and may be canceled, modified, or discontinued at any time. Other restrictions may apply. Relax under a cascade of water on our Vichy table, as your skin is polished with tropical sugarcane and pure coconut oil. Finish with a nourishing lotion application to leave your skin feeling fresh and deeply moisturized. Body wraps help your body regain balance by relieving muscle tension and promoting natural detoxification and hydration. A gentle dry brush exfoliation will prepare your skin for a full-body application of our warmed, coconut-oil rich body masque. Stress will melt away as you rinse in our multi-jet Swiss Shower. Complete the experience with a nourishing lotion application to seal in moisture and softness. 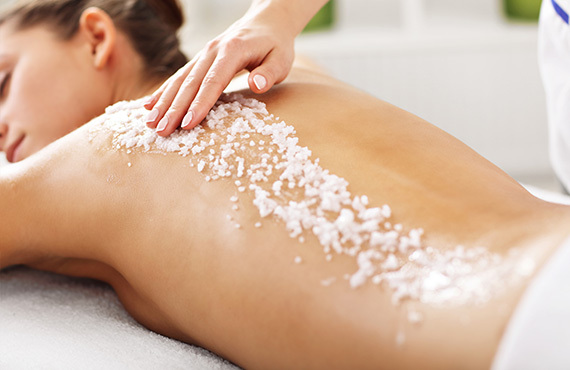 Start the pampering with a foot soak and tropical sugar scrub that will leave your skin soft and smooth. Enjoy a deeply moisturizing calf and foot massage and finish with your choice of the perfect polish. Enjoy Voya’s award winning body polish. A nourishing blend of almond oil, seaweed and ginger extracts with finely ground walnut shells will gently exfoliate and replenish your skin. The scrub is followed by a luxurious rinse in our Swiss Shower and completed with a ginger sorbet lotion application to seal in moisture and softness. *May Specials begin May 1, 2019 at 8:00 a.m. and expire May 31, 2019 at 9:00 p.m. Specials are subject to availability. Use of discount requires payment of a mandatory 20% service charge based on the original retail value of each treatment. Guests must be 16 years of age or older with a valid ID to use spa facilities and services. Specials may not be combined with any other discount offers, specials, promotions, value added programs, or rates. Specials have no cash value and are not redeemable or refundable for cash and may be canceled, modified, or discontinued at any time. Other restrictions may apply. Rich in essential vitamins and anti-oxidants, begin with a guava and coconut sugar scrub followed by an invigorating Swiss shower. The body is then enveloped in a cocktail of fruit and salicylic acids followed by a luxurious guava milk bath. Finish with a personalized massage. *March Specials begin May 1, 2019 at 8:00 a.m. and expire May 31, 2019 at 9:00 p.m. Specials are subject to availability. Use of discount requires payment of a mandatory 20% service charge based on the original retail value of each treatment. Guests must be 16 years of age or older with a valid ID to use spa facilities and services. Specials may not be combined with any other discount offers, specials, promotions, value added programs, or rates. Specials have no cash value and are not redeemable or refundable for cash and may be canceled, modified, or discontinued at any time. Other restrictions may apply. Give your mom the gift of a radiant glow this Mother's Day. This wonderful facial helps to improve circulation, increase oxygenation, and promote cell renewal while diminishing fine lines.